An effective business has an efficient database. 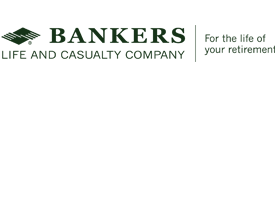 Since 1879, Bankers Life and Casualty Company has been helping individuals and families protect their financial security and prepare for retirement. Today, Bankers has over 200 branch offices and more than 5,000 agents across the country. Dedicated to meeting the needs of retirees and pre-retirees, the company offers a comprehensive portfolio of health and life insurance products and annuities. The Creative Services department at Bankers manages the marketing and design of all materials related to the company’s products, brands and services. Historically, new jobs were submitted by other departments to Creative Services via an email sent directly to a Creative Services staff member. Jobs were manually tracked across multiple Excel spreadsheets, resulting in a difficult, inefficient method of project and print management. Creative Services needed a solution that provided flexibility, stability and the ability to integrate with the web. In response to their needs, we worked with them to develop Marketing Online Project Request (MOPR, pronounced mo-per). MOPR allows different departments to submit, view and update their Creative Services jobs from the internet. After a job has been entered, the Creative Services department assigns the job to a specific staff member and the staff member is alerted via email. After the project is complete, the print specifications are sent directly to the Print Management Department. Today, there are more than 50 system users, 35 who exclusively use the web to submit, view, and update their projects. The staff at Bankers manages the day-to-day changes of the system, while we provide support and help plan for future improvements to MOPR. MOPR has provided a more streamlined job submission process and better work distribution for Creative Services and the other departments that work with Creative Services. Project Management Simplification: Eliminating the need to shuffle through spreadsheets, track down staff members, and sort through emails simply to track and manage a project from submission to print. Faster Project Delivery: Using email had the inadvertent effect of unevenly distributing the workload. MOPR allows Creative Services to better distribute work and deliver projects faster. System and Project Insight: Having all the key data in one place enables the department to gather metrics on each job to continually improve processes. More Efficient Communication: Creative Services reduced the amount of internal communication as MOPR allows users to see the status of their project on the web. Streamlined Print Management Process: Staff members submit print specifications to the Print Management Department directly through MOPR, rather than via multiple spreadsheets. Time Savings: Departments submit, view, and update their projects with Creative Services all online. Project Status Visibility: Departments are able to see the current stage of their project without the need to email or call individual team members. Simple Job Duplication: Staff members can easily duplicate a job’s specs to apply to another job, eliminating the need to spend significant time completing multiple, similar requests.